Marcie Swift, M.Ed., CMP is a certified school psychologist with over 35 years of experience in private practice, specializing in integrated modalities that foster positive growth in individuals, families and schools. Her life’s work has been dedicated to working systemically to help individuals maximize their true potential. Founder and Director of The Swift Center for Learning, LLC, she was the consulting psychologist at many public and private schools including Renbrook, The Gunnery, and Watkinson. A former adjunct professor in clinical psychology at the University of Hartford, she combines her training in family systems, psychology and therapeutic music along with a variety of other individualized, creative interventions. Please check back for future programs with Marcie. 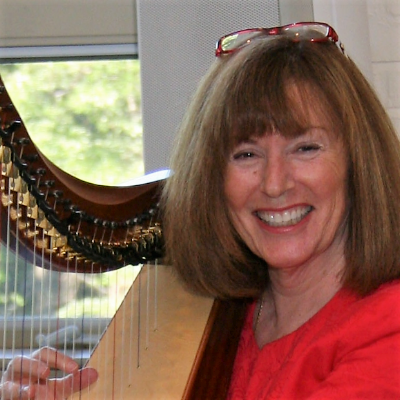 Marcie Swift shares a powerful, recent experience of guiding retreatants towards a deeper capacity to live fully with the help of harp music and meditation.